A Community Foundation is a tax-exempt public charity that enables people to establish charitable funds. Your fund will be added to our other funds and managed professionally, thereby yielding a maximum return. The assets in these funds grow over time, creating the ability to fund programs using the interest while preserving the principal. This creates a lasting endowment and continual stream of funding. You, your family and colleagues are encouraged to continue giving to the fund to help it grow even more, thereby expanding the possibilities to help various organizations. Grants will be awarded from your funds to support local nonprofit organizations, in accordance with your interests. Our Foundation, like others, is overseen by a volunteer board of leading citizens and run by professionals with expertise in knowing our community’s needs. 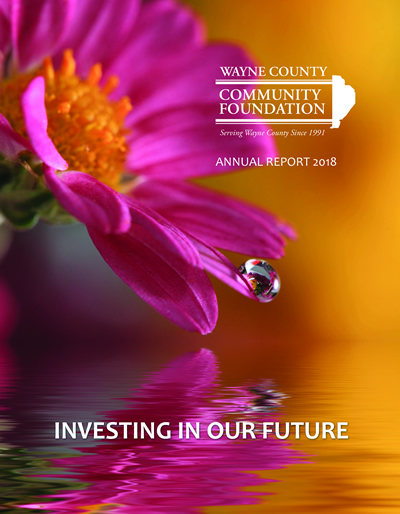 We go beyond simply making grants that advance charitable activities: we also identify current and emerging issues, stimulate resources to address those needs and help our county prepare for the future.